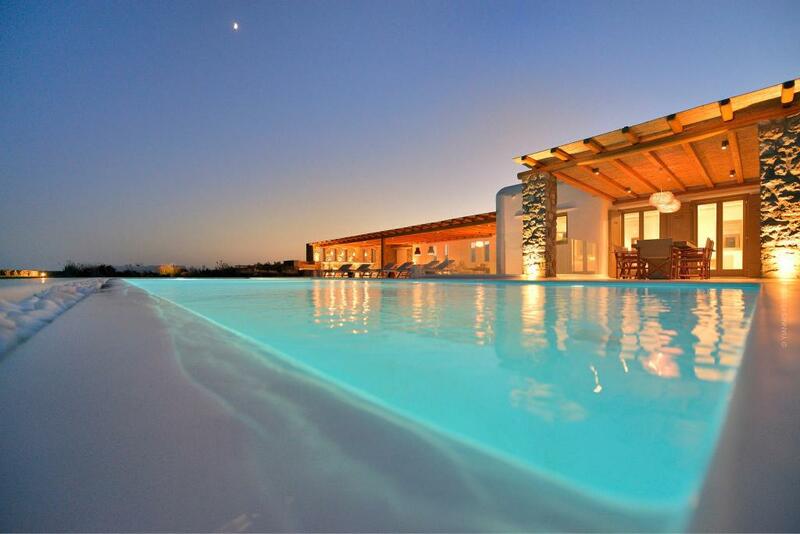 Modern deco villa with pool! 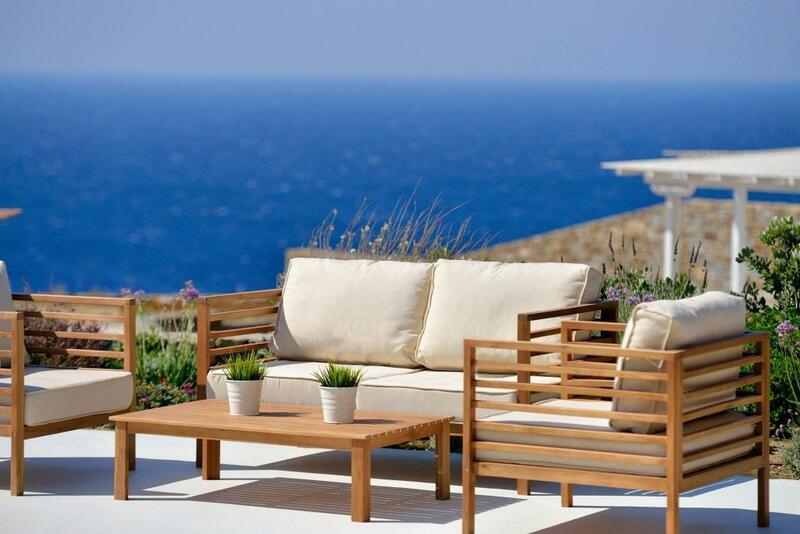 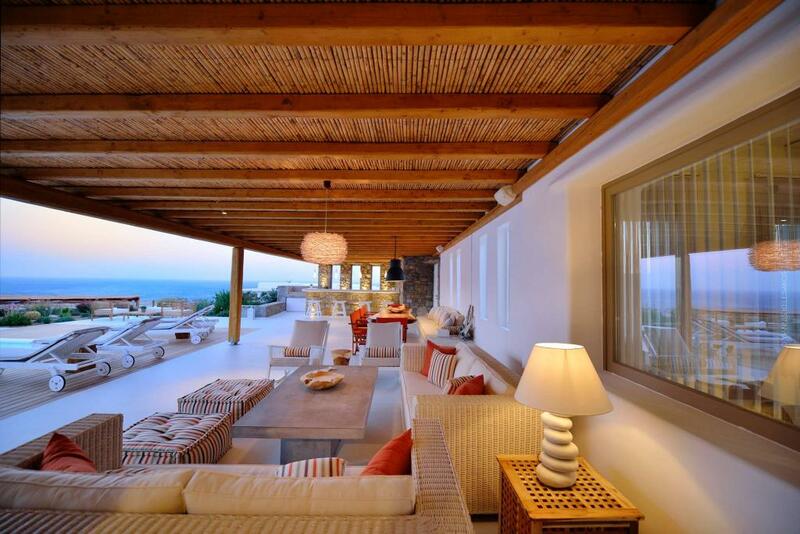 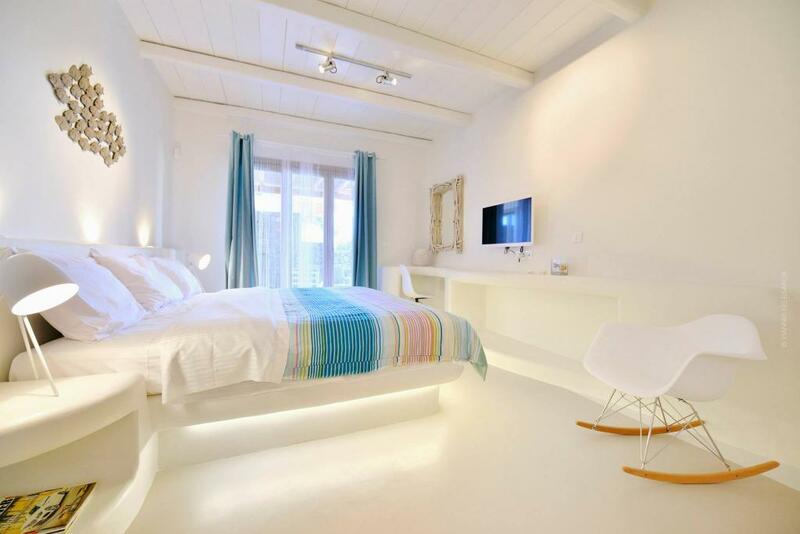 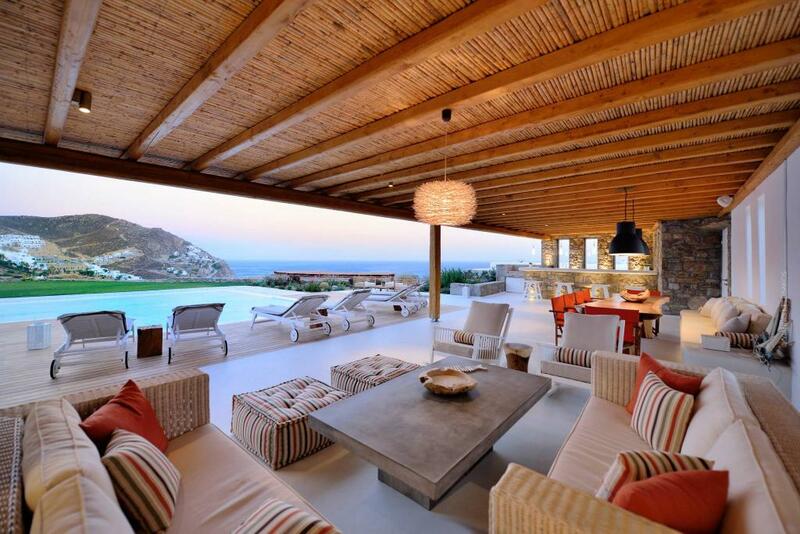 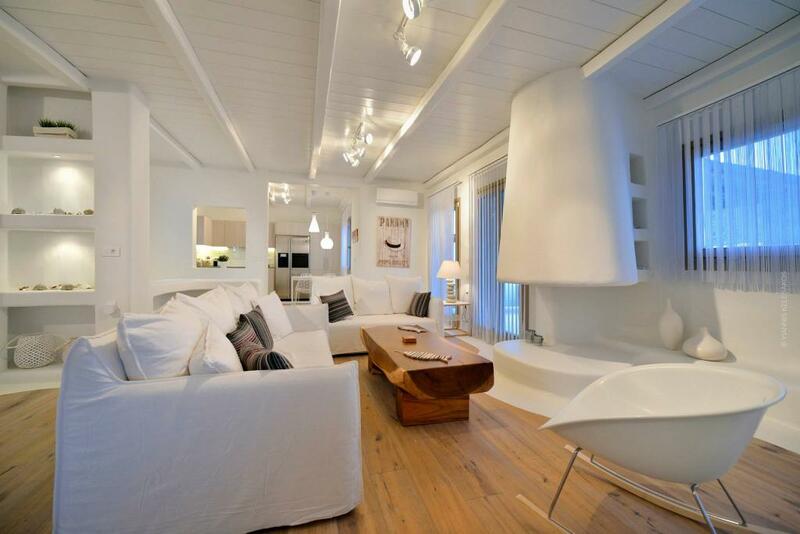 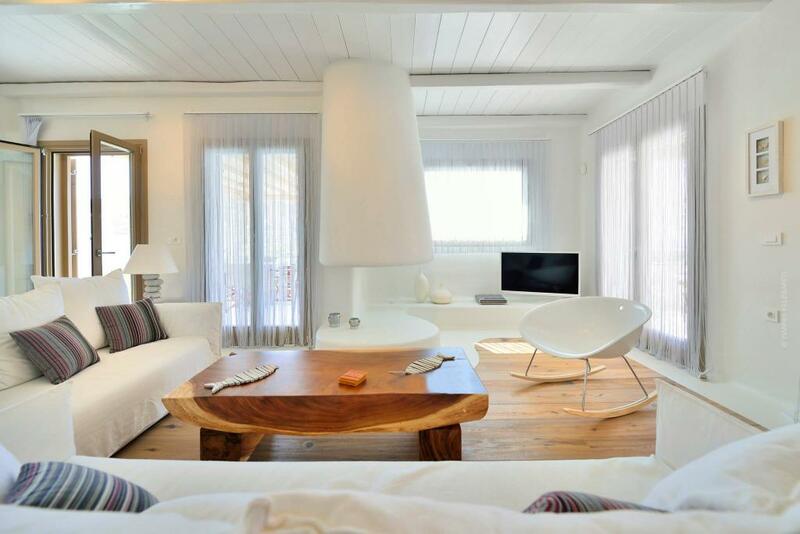 Lifestyle holiday environment in Mykonos. 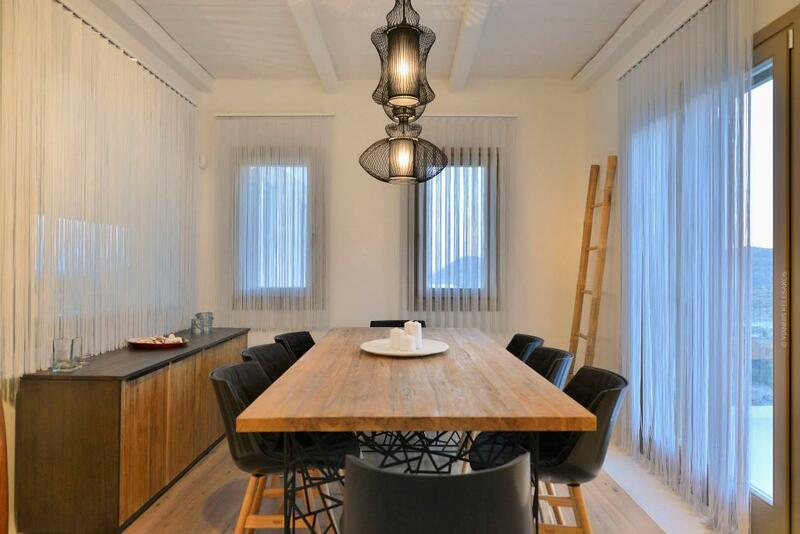 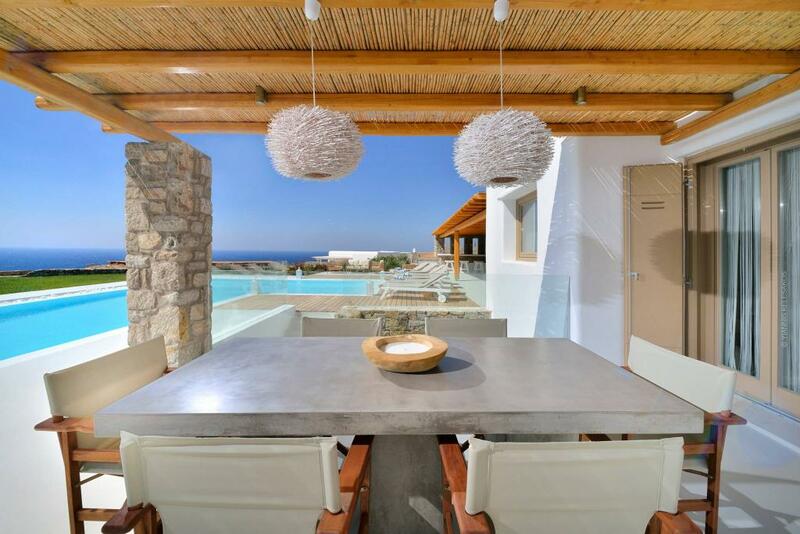 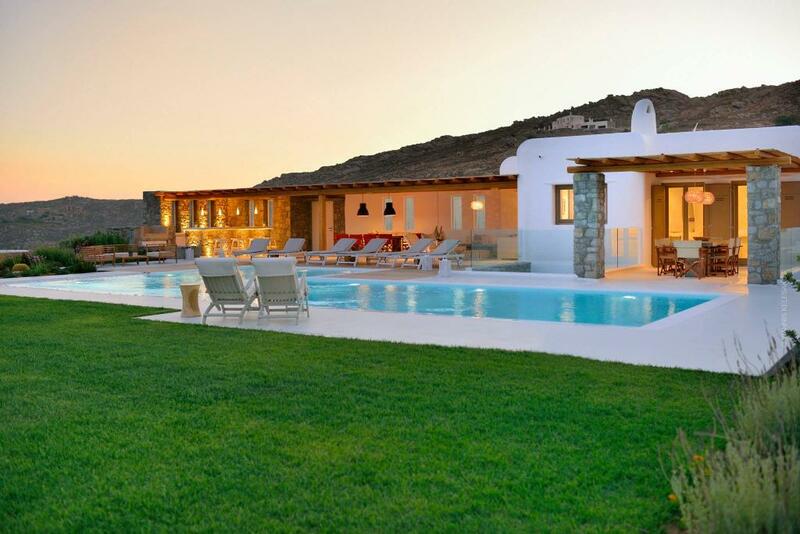 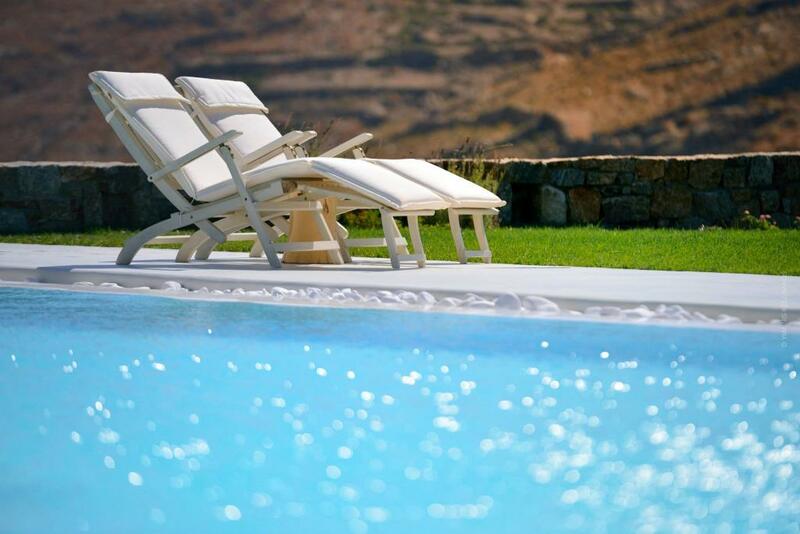 The villa is part of a new luxury complex located in the southern part of the island of Mykonos, overlooking the cosmopolitan Elia beach and just 10 km away from Mykonos chora and the Airport. 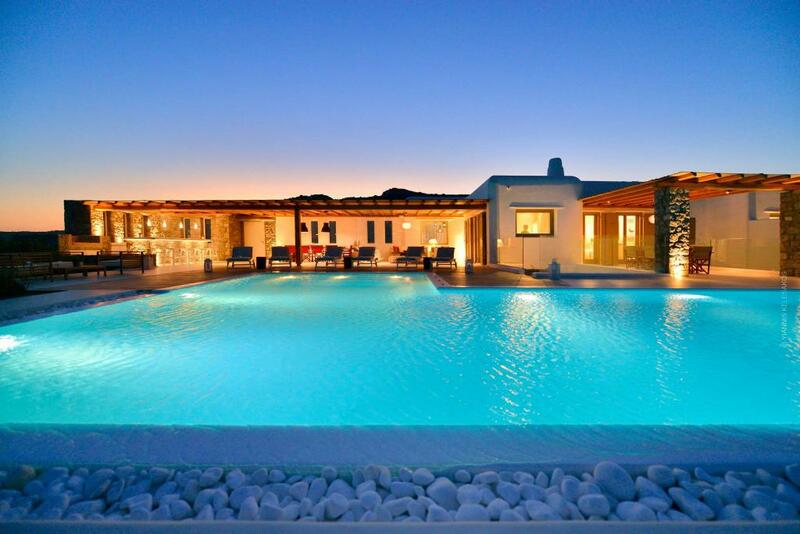 Villa Habanero Margarita has been fully equipped and furnished, in a contemporary style and to luxury standards, to offer a unique lifestyle holiday environment for true relaxation. 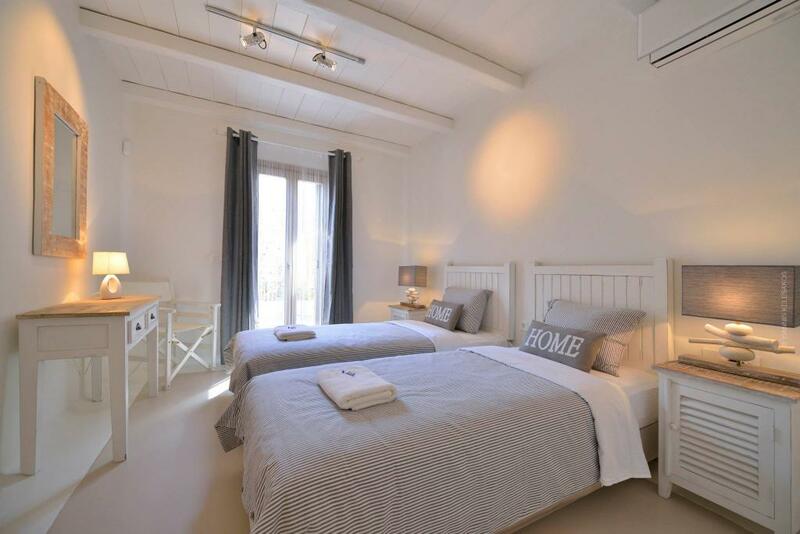 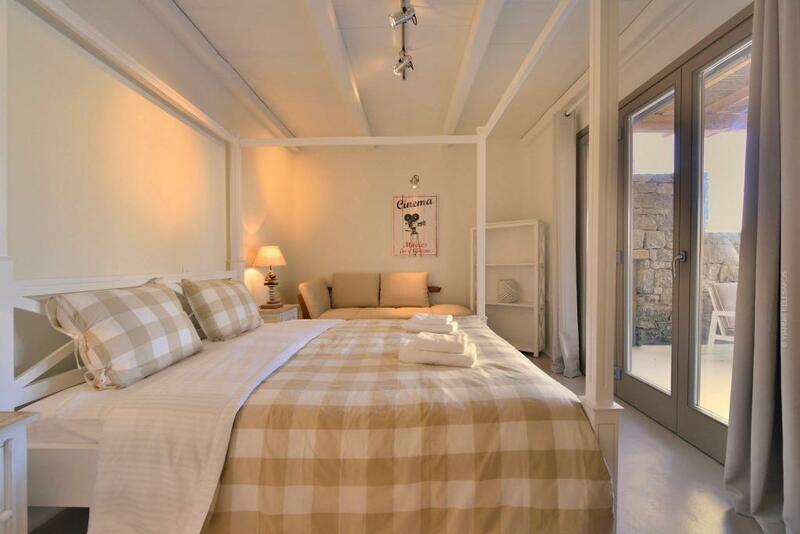 The villa has 4 spacious bedrooms, a maid’s room and storage. 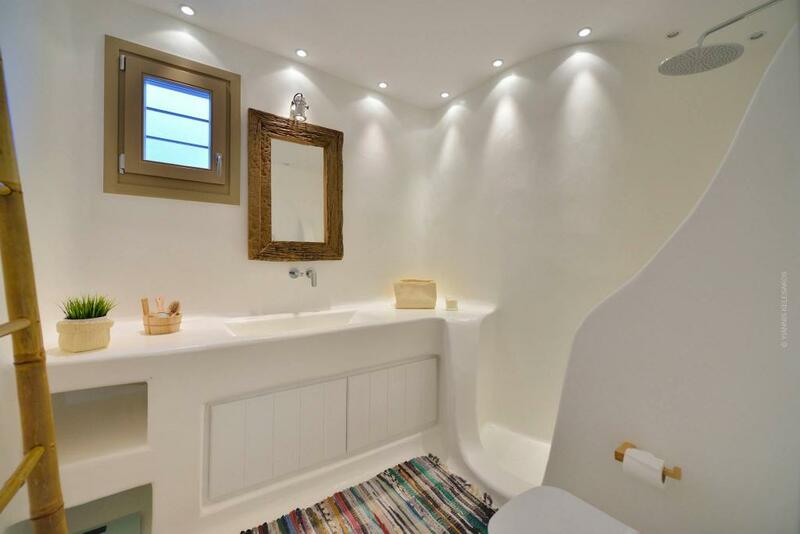 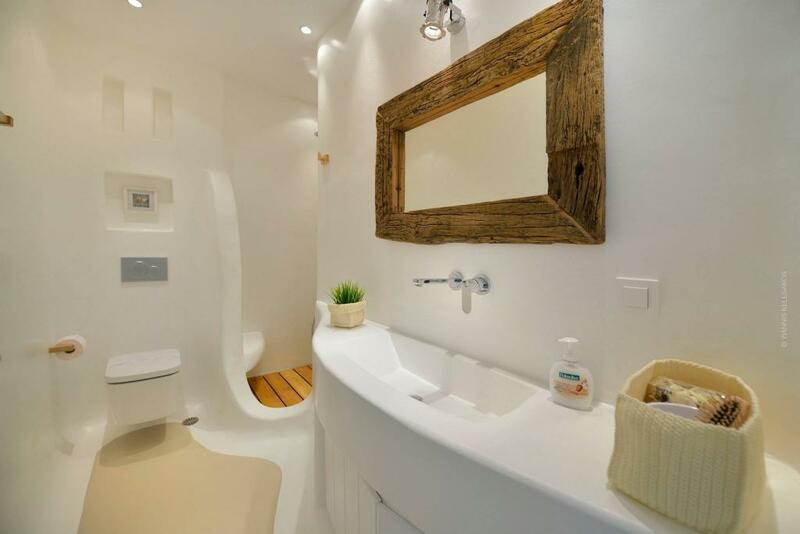 Two of them are en-suite, with the other two bedrooms being served by a shared bathroom. 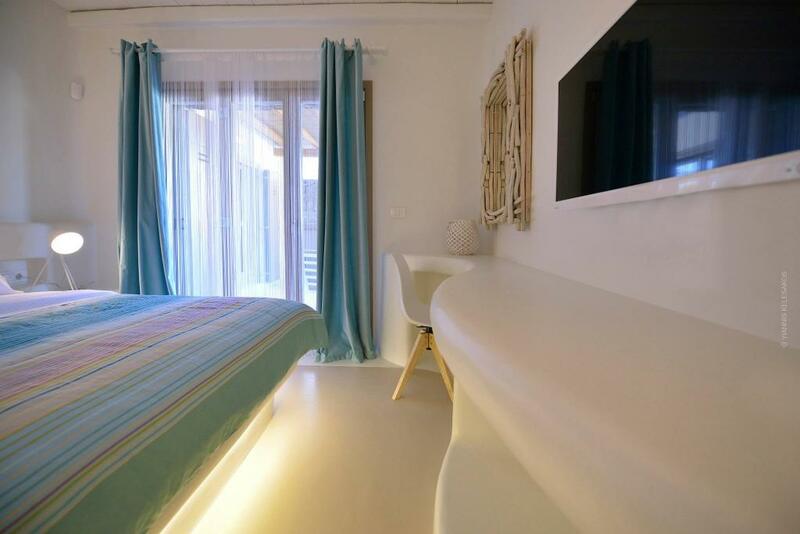 A separate guest room has its own bathroom and a kitchenette. 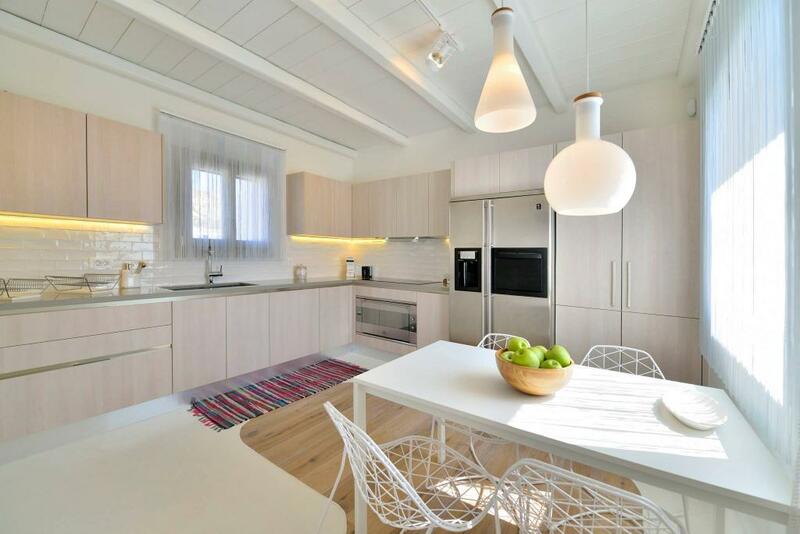 The main level houses a large dining area, a spacious living room with a fireplace, WC and an open plan kitchen, fully equipped with SMEG appliances. 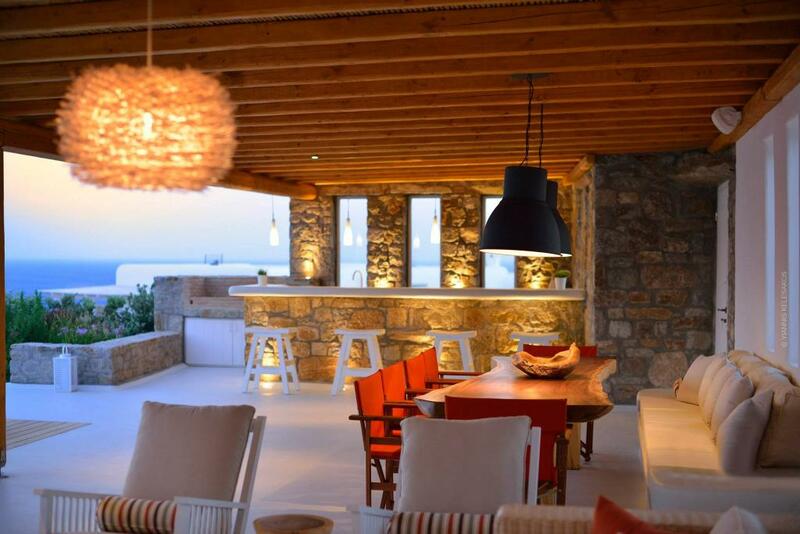 The house is surrounded by a beautifully landscaped garden and very large terraces, offering unobstructed views towards the Aegean sea, which are shaded by wooden pergolas and consist of a spacious external living room, two separate dining areas of 6 and 10 people each, as well as a full-equipped bar and barbeque. 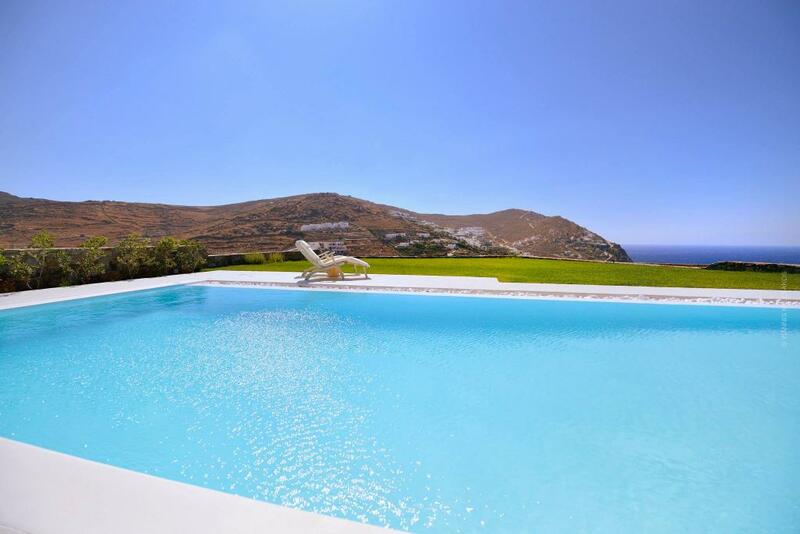 The large pool with a Jacuzzi, offers unique sea views over the horizon, which create a sense of relaxation and freedom. 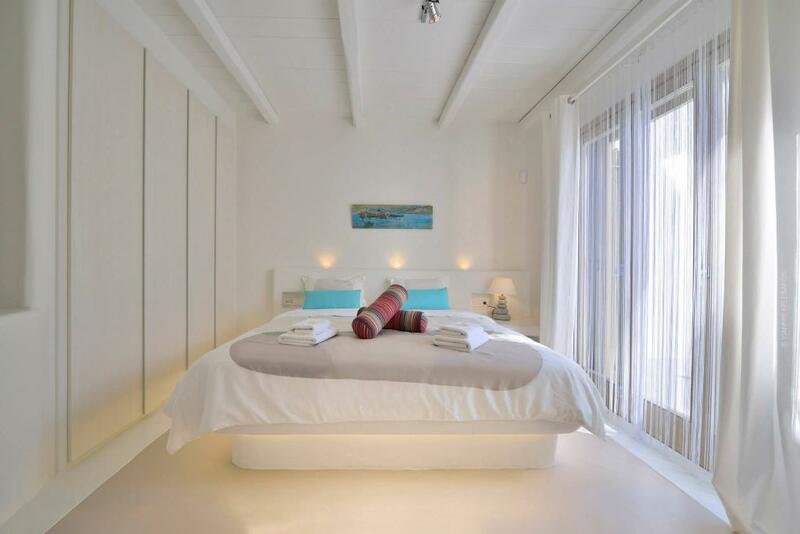 The villa has Wi-Fi, satellite TV, air condition in all rooms and covered private parking for 4 cars.